When it comes to finding a rental property, yards & gardens are one of the most sought after features for renters. 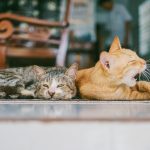 Whether they’re an animal lover who wants room for Fido to run around or just want to be surrounded by flowers in a garden, an outdoor space is great to have. However, this luxury also comes with the added responsibility of maintenance – but who’s job is it to maintain the garden? When you own your home, it’s obvious that you’re responsible for most of the maintenance, repairs, and upgrades you want to make. However, when you’re renting to or from someone, it can be a bit more confusing. On one hand, the owner wants the garden well-maintained to make the property more appealing. On the other hand, the tenant may not have a green thumb or care what the exterior looks like. In the case that the 2 sides have different feelings about garden maintenance, it’s important to have an agreement in place so that everyone knows who is responsible for what. The specifics of a landlord’s and tenant’s garden responsibilities depend on the particular tenancy agreement. On top of the standard responsibilities of a landlord (working heat, electricity, plumbing, etc. 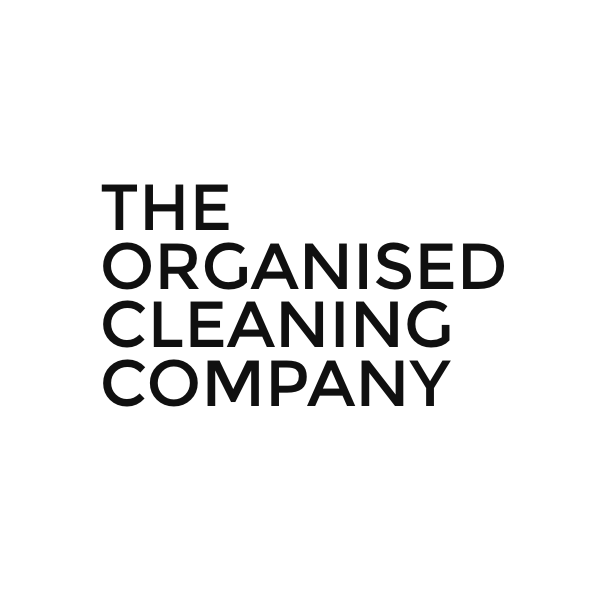 ), there is often a clause relating to the garden that outlines specifically what is expected of the tenant, what the landlord will provide, and any maintenance fees or penalties for lack of care or professional gardening services. This way in the case that either party doesn’t keep up their side of the bargain, the other can easily pursue a claim for reimbursement or other reparations. The most basic & common requirement you’re likely to see is to keep the garden area free of rubbish. This can include things like actual trash, old furniture, portable pools, and other rubbish that can either damage the grass, lure pests, or otherwise clutter the yard unnecessarily. For most tenants, this should be both common sense & incredibly easy to do but will often find its way into an agreement anyway, just in case. For gardens with a lawn, the tenant will often be responsible for maintaining the basic requirements of the grass. This includes watering it regularly, keeping it well trimmed and avoiding any pet spots from forming. 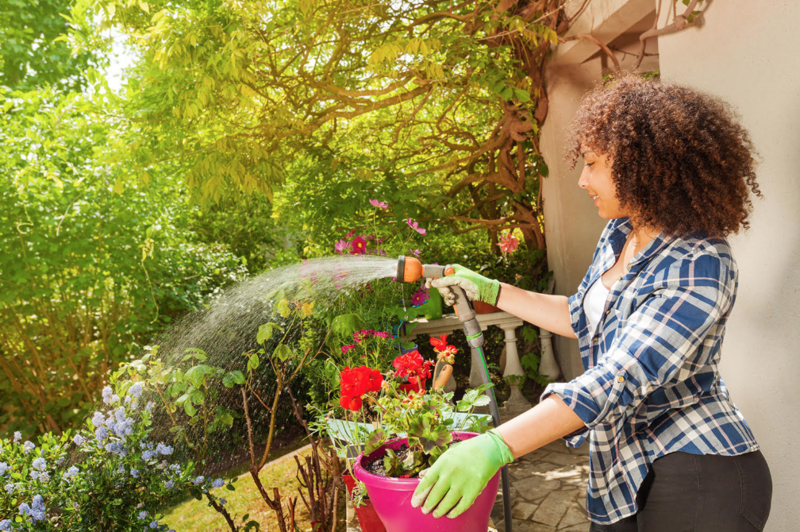 While it may seem like a lot, many larger yards have automatic watering systems already (and smaller yards only need a few minutes of watering from a garden hose) and a cordless lawn mower is cheap, easy to store and can make quick work of most grass trimming jobs. Finally, it’s reasonable to ask that the garden be “returned” at the end of the lease in the same shape or better than it was at the beginning of the lease. The responsibility of the landlord primarily concerns the safety of the property & its garden. This includes trees, foliage, and other plant life that interferes with sidewalks, walkways, and even the home itself. For example, low-hanging tree branches that protrude into the sidewalk pose an injury threat to anyone walking by. Additionally, any trees that lean from wind or whose branches hang over the home threatening to fall on the roof need to be addressed right away by the landlord to prevent costly damage & liability in the case of an accident. When it comes to improving the curb appeal of the property, the owner is often responsible for funding the upgrades because it improves the property’s value in the long run – benefitting the owner. 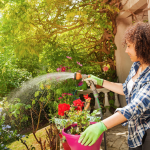 However, adding flowers to a flowerbed for decoration, creating a garden patch, and other yard-related additions benefit both the landlord and tenant, so many times the owner will pay for the supplies while the tenant chooses, plants, and maintains the plants. However, it remains the owner’s home so any changes or additions should be approved before being completed. Additionally, anything that is part of the overall yard or garden (patio repairs, fence painting or repair, and driveway maintenance) fall under the landlord’s responsibility because they are considered part of the home’s exterior – not the garden. Overall, the specifics of your tenancy agreement will determine exactly what your responsibilities are for your garden. Some landlords may prefer to include a maintenance fee as part of the lease, having landscapers come in to maintain the garden while others will leave it in the tenant’s hands with just the reasonable expectations we mentioned above. If you have concerns about your responsibilities either talk to your landlord or read the lease agreement to learn exactly what you’re responsible for. If there is no clause in your lease, consider making an amendment so that both parties are protected.